This month, the payday loan short-term credit provider Peachy.co.uk most recent advertisement campaign has been banned by the Advertising Standards Authority (ASA). The reason behind this was that its advert was seemingly capitalising on consumers fears about the outcome of the Brexit referendum. What was in the advert? The email advertisement by Peachy.co.uk (which is part of Cash on Go Ltd) promoted short-term loans to people with the specific aim of those hoping to purchase stockpiling goods should the outcome of Brexit be a no-deal scenario. 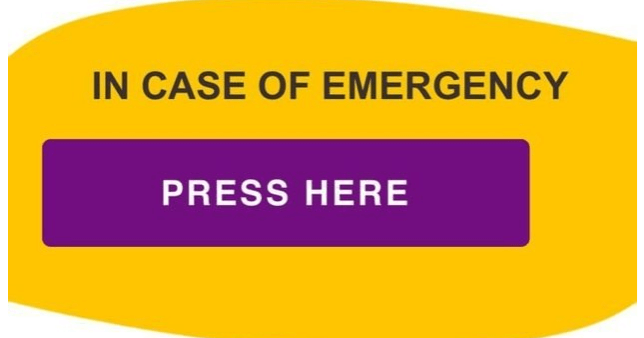 It featured in bold text ‘IN CASE OF EMERGENCY PRESS HERE’ whereby if you clicked on it, you would then be taken to a promotional discount by the payday lender. The ad also said the following in its email: “Let’s be honest here, no one really knows what’s going on with this whole Brexit malarkey… it’s supposed to be happening soon though and some say it could affect the amount of food available. Part of the advert by Peachy.co.uk that has now been banned by the Advertising Standards Authority. “About half of the fresh food we consume is imported after all..we do not want to believe that Brexit will impact the amount of food available but it’s still a good idea to have a little stockpile ready. That way you’re always prepared for the worst… “Things can pop up even when you think everything is going swimmingly… That’s when you might need a little extra help.” In terms of defending its advert, Peachy.co.uk told the ASA that the mentioning of Brexit was simply included to make the ad topically relevant to today’s consumers and that it was only mentioned in a light-hearted way. They also stated it was trying to portray the uncertainties we can all face in everyday life, where some consumers might benefit for payday loans under these circumstances, as they may not have enough savings in the event of a no-deal Brexit to help with potential stockpiling costs. However, in its apology, it said that in its future campaigns for payday loan promotion, it would better consider public sensitivities around topics such as Brexit, and the potential damage this could end up causing borrowers. The ASA made the final call and prevented the ad from appearing again. It stated in its emails to customers that the campaign by the short-term credit provider was ‘irresponsible’ and has a strong chance of putting ’emotional pressure’ on borrowers, by encouraging them to take out loans they won’t be able to afford, or run the risk of not being able to feed themselves or their family members if stockpiling was needed. The ASA has voiced concern that this ad campaign may have already heightened stress levels of those in financially vulnerable situations in the UK, who may well already be struggling with money or are worried about their financial circumstances. The short-term credit loan provider has been given a warning by the ASA about its advertising practices.